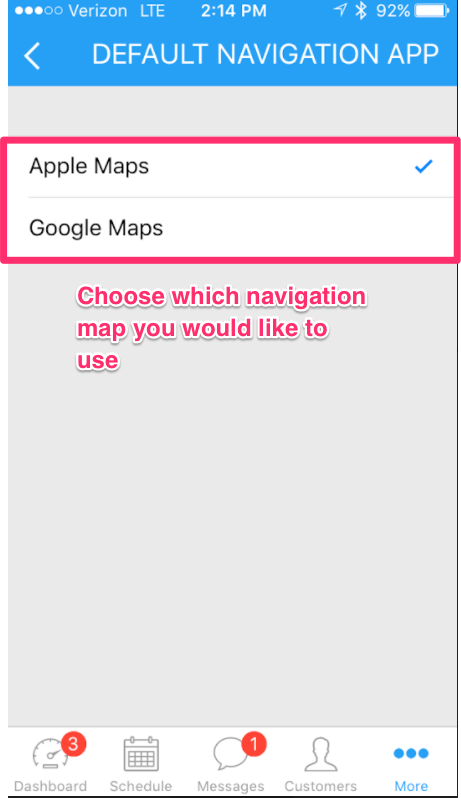 How do I choose which maps app directs me to my next job? 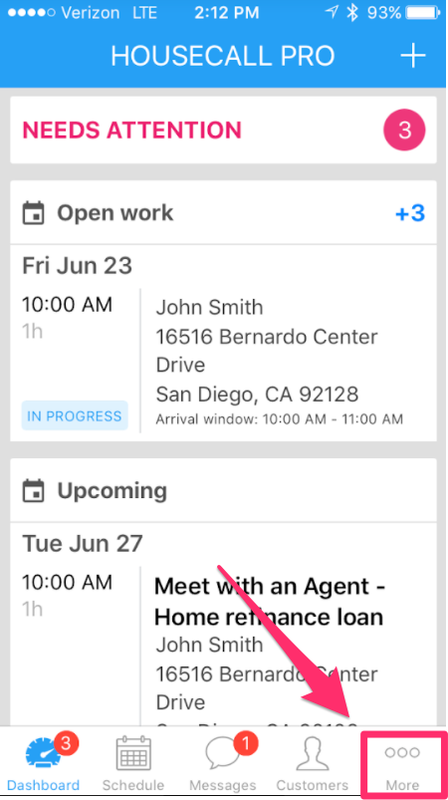 Choose which navigation app you'd like to be set as the default when heading to a job. 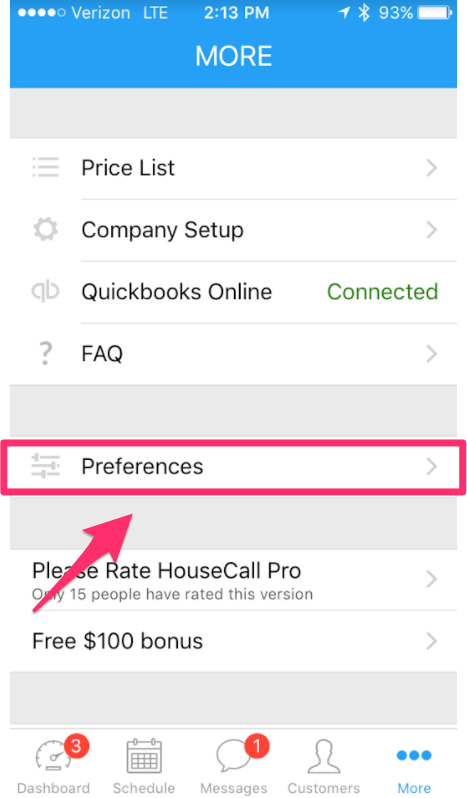 Navigate to the 'more' tab on the HouseCall Pro iPhone app. 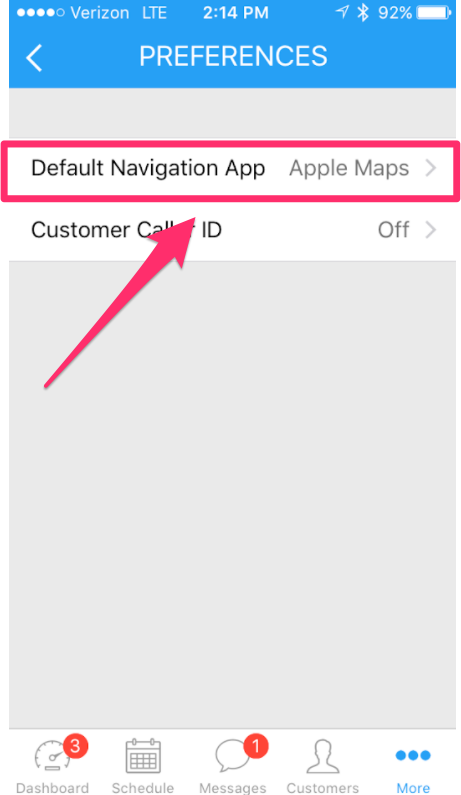 You'll then have the option to choose between the navigation apps you have installed on your phone.